You’ve decided to start up your own business. Congratulations, you’ll be your own boss and be calling all the shots. No more stupid decisions except your own. 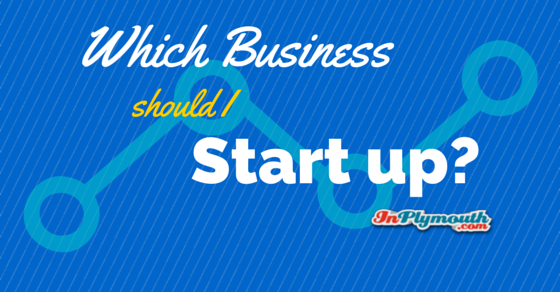 But how do you decide which type of business to start? Here are the options you can choose between. Buying an existing business is a very popular choice. It can be less risky as you’ll simply be taking over a firm that is already (if you’ve done your due diligence) doing well. Drawbacks can include inheriting an unhappy or unfriendly workforce, competitors keen to strike at you before you can find your feet, your own steep learning curve, mysterious problems that were cunningly hidden by the previous owners. Things have changed. Once upon a time, home-based business start ups were limited pretty much to child-minding or stuffing envelopes for other people’s mailshots. Now we’re well into the Internet Age, opportunities for home-cased businesses are almost unlimited. My first business was home-based, designing and typesetting CVs (what the kids now call resumes) for people when I was a student and computer-based typography was scarce. That was around 30 years ago (yes, I know) but now you can be an accountant, designer, artist, employment agency – pretty much anything. You have to have enormous amounts of enthusiasm, self discipline, self belief, and flexibility. It can also get pretty lonely without workmates, so you need to find ways to get out and socialise. Also consider using flexible co-working office spaces like Plymouth’s THINQTANQ which allows you to book a desk or hold client meetings there. Sometimes life gives us responsibilities and commitments that are more important than work. What, did I just say that? believe it or not, there are many things in your life that are more important than work. What this can mean for some people is that they’re not going to be able to do the normal 9-5 thing. By the way, what kind of self-employed person can do that anyway these days? The best option in this case can be to start up a part-time business. There are no special disadvantages to do this, but you have to expect some people will consider it less serious than full-time work and the more shallow people will not hide their opinion. Of course they’re wrong, but it won’t stop them. If it works for you, go for it. Many successful part-time businesses have been set up by single parents (please note: I did not use the horribly patronising ‘mumpreneur’ word here) or people with constraints on their time. Going the franchise route can be a great way into business. For a certain outlay (which sometimes could be pretty huge) you get branded products, marketing materials, training, head office support, and the knowledge that you’re not alone. There are other franchisees out there sharing your journey. Some of them may be further along the road so you could pick up tips and share lessons. You may not get the same sense of “I made it all on my own”, but in business you never make it on your own anyway. One last word of warning: choose your franchise well, there are some cowboys out there. In business, you never make it on your own. If you’re already an acknowledged expert in your field this should be an obvious choice. Remember of course that you will still need to market yourself, and sell your services. You could get around this by employing an agent or a sales team. Some consultants cure this problem by getting together with other professionals who consult on complementary topics and referring each other to clients. If you choose to go this route, make sure you pick partners who will actually refer you. Some people just want to get referrals from you but somehow never get around to mentioning your name to others. If you want to start a business, I applaud you. Go for it. You need to be aware though that you will often have to work harder than your employed friends. Longer hours too, but the rewards are great. Your potential earnings are higher, your job satisfaction likely to be greater. Which option you choose is up to you, but now you can consult this handy article and be informed.